I love perfume. I really do – it’s one of those luxuries that has the power to transform your day and now, finally, I’ve worked out the fragrances that I really like. Recently I wanted to try something new and realised how difficult it was to get good advice on fragrances that would work for you if you were looking for specific notes. It took a lot of work but I got there in the end, which was why Scent in a Box really appealed to me. 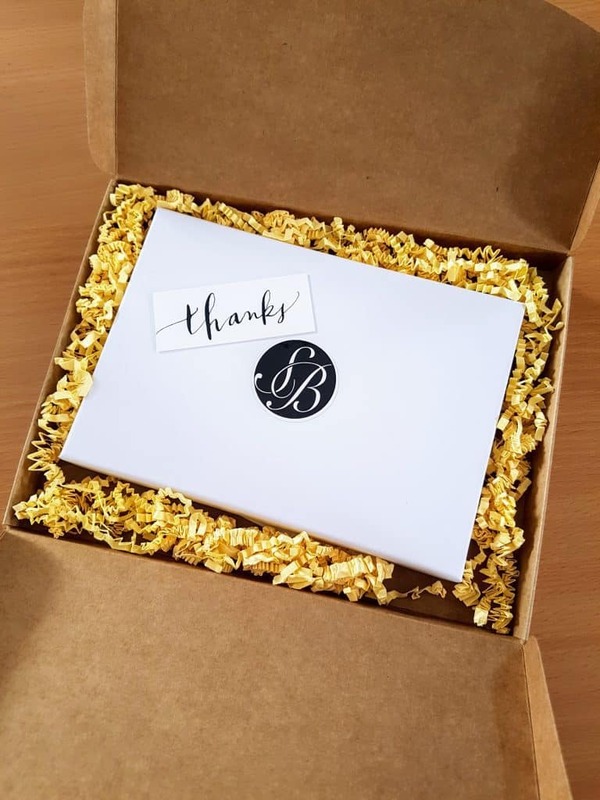 The opportunity to try three different, new, fragrances each month and each box has enough for a whole month – I was excited to see what I would get. I’m not going to lie – we had some issues with my box arriving. For some reason it took longer to be sent out and then there was an issue with the courier and the postal charge. I spoke to the Scent in a Box team who were so apologetic and explained that this seemed to be an isolated incident that they were dealing with it. I can confirm that it was worth the wait and I wouldn’t let the issues I had put you off – it does indeed seem to be an unfortunate one off but I wanted to mention it as this is an honest review. When I opened the box I was pleasantly surprised to see how nicely it was all packaged up. From the outside it didn’t look like much, but I like that – I know that the money and effort has gone into the product and not the packaging. I loved the fact you got a description of each fragrance as well as a fragrance wheel too. I have learnt that I am definitely a floral perfume fan and I have two particular notes that I really like, pear and freesia. My two favourite perfumes are (somewhat unsurprisingly) English Pear and Freesia by Jo Malone and L.A.M.B by Gwen Stefani. Knowing this I was really excited to see the first bottle was a floral fragrance with notes of Freesia. In the gold bottle was this fragrance by Boss. I have worn Boss perfumes in the past but not recently and I probably wouldn’t have picked it out if I were looking. This is the reason I really like this box as I have discovered a whole new fragrance I wouldn’t have picked out had I been looking myself. I’ve worn this regularly since opening the box and will be looking out for it if it goes on a deal on the high street (as I know Boss often do). With top notes of honeyed peach and freesia, heart notes of osmanthus flower and base notes of coco I would recommend this perfume to anyone who likes flowery fragrances that follow up with a bit of depth. At first I was a little disappointed with this one too, as Euphoria has also been around for some time and its a perfume I have worn but wasn’t overly fond of. However after checking I saw that this was a fairly new version of the fragrance and looks to be a slightly lighter version of the old scent, aimed at a younger market. It seems counter intuitive to call a lighter version ‘deep’ but maybe I am overthinking it! This fragrance is back in my favourite floral group and has top notes of cascalone, pepper and mandarin leaves, heart notes of geranium, jasmine and black rose and base notes of mineral woods, patchouli and musk. I had to look up what cascalone was, ‘a fragrance ingredient which has been created or synthesised in a lab. It adds a fresh aquatic feel to fragrance compositions’. It seems a bit odd that this is a synthetic ingredient and it is listed as the top note, but I’d say that one of my other favourite groupings is fresh/mineral/water so I do like it. I was pleasantly surprised by the Deep Euphoria fragrance. It’s a bit too heavy for me for the summer but I will definitely wear it as it turns colder and gets a bit darker. I have had the box for a few weeks now and show no sign of running out of any of the perfumes. The bottles they come in are absolutely perfect for popping in your bag or for taking on holiday and I can definitely see me doing this with at least one of these. 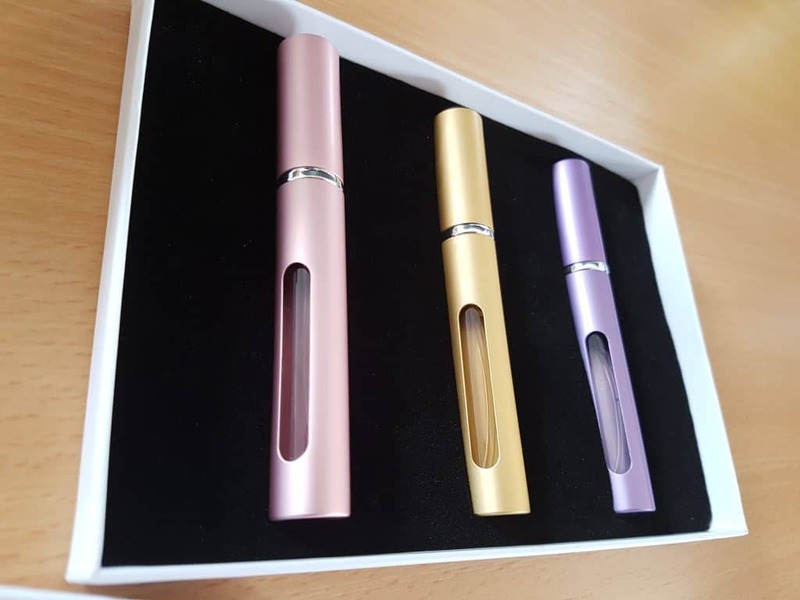 If you really didn’t like one of the scents you were sent but knew someone who did then you would be proud to give one as part of a gift because they look really nice. The box reminded me a bit of those sample boxes you sometimes get around Christmas time with 5 different scents in the same range (you know the ones!) and in some ways this is a really good thing – but I think the concept could be improved ever so slightly. When you sign up it would be great if you could be asked about your favourite five perfumes (and perhaps the one fragrance you really hate) and that way a profile could be built to give the makers an idea of what you will or won’t like. 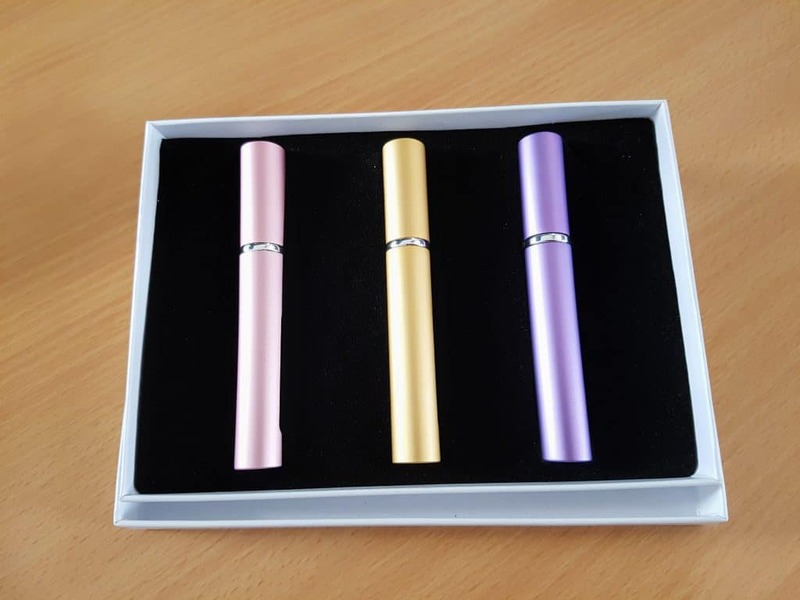 I’m not suggesting that every box is personalised as that would take them above the £20 cost, but perhaps one fragrance could be switched out if it looked like it was not going to be one that the receiver liked at all. The other suggestion I would make is just to have a little more information about the fragrance wheel and also perhaps suggestions of other fragrances that are like the ones in the box; this could be done online or via an ‘exclusive members email’ – I just think this would add an extra level of appeal. 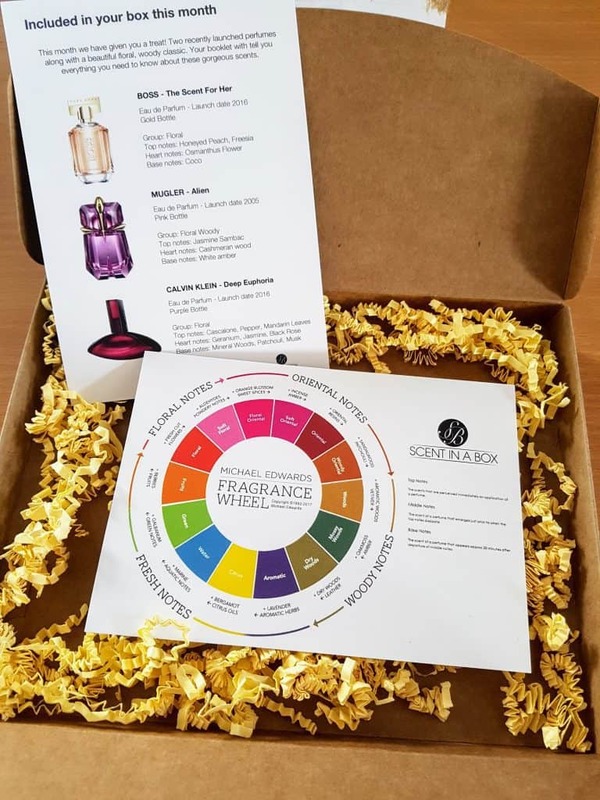 I like the idea of Scent in a Box and I think some elements of it are just brilliant; the bottles are lovely, the packaging is functional but elegant, the level of description given to each one really helped me understand what I liked. 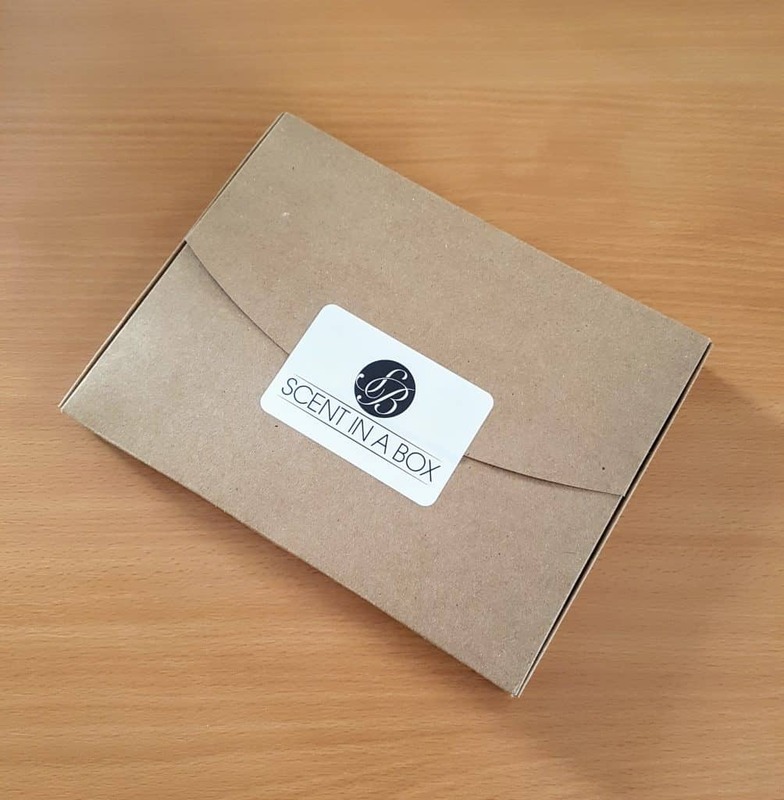 However when it comes to an ongoing monthly subscription box I am not sure I could see this working for me; £20 a month for what you get it great, especially if you really like all three scents. However that's £240 a year when you add it up and I am not sure I (or anyone) could justify that. I think that this works well as a one off, or a 3 month subscription, and with a few small tweaks to it, I could see it being really good. But unless they take a more personalised approach to build up individual profiles and send you a selection of fragrances that you can be guaranteed to love, I am not sure I could justify it for a whole year. That said, without Scent in a Box I would not have discovered a new fragrance (Boss) so I think my scores are reflective of my views on this Box. 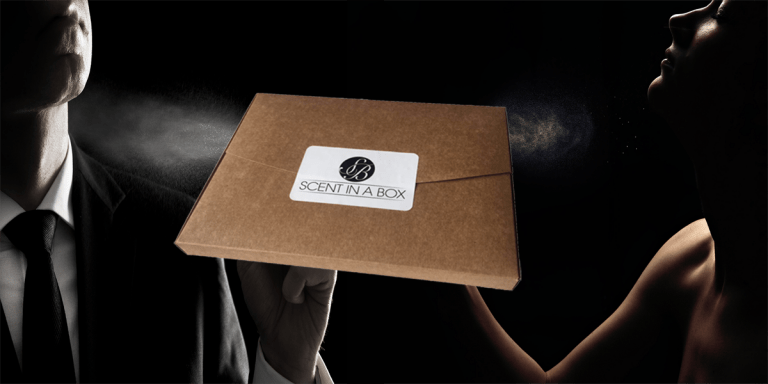 How would you rate Scent in a Box ?